YOUNG BLIZZY RADIO VOICE OPINION :. .WILL YOU BORROW MONEY TO HOST BIG PARTY FOR YOUR CHILD. ......OR BORROW MONEY TO INVEST IN THE LIFE OF YOUR CHILD. ......WHICH OF THE ONE THAT MAKES SENSE IN BETWEEN THIS TWO WORDS.? 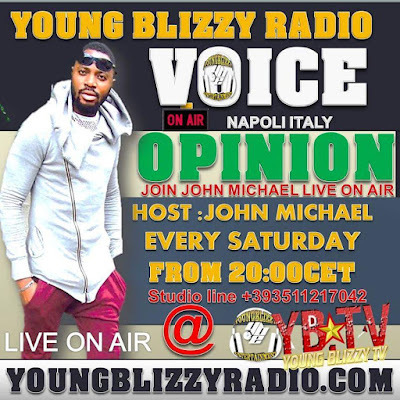 YOUNG BLIZZY RADIO VOICE OPINION :. .WILL YOU BORROW MONEY TO HOST BIG PARTY FOR YOUR CHILD. ......OR BORROW MONEY TO INVEST IN THE LIFE OF YOUR CHILD. ......WHICH OF THE ONE THAT MAKES SENSE IN BETWEEN THIS TWO WORDS.? ? Multi-platinum selling producer duo, Da Beatfreakz present an all-star cast of Sneakbo, Afro B, Moelogo and Sona for their visuals to their debut single ‘Quavo’. The brothers, O1 and U1, known for their work with Kat Deluna & Jerimih on ‘What A Night’, Giggs on ‘Rap Gustavo’ and currently working with Usher, Elie Goulding, Jaquees and Sean Paul, let off the motivationally charged Afro/bashment assisted single as they begin their own journey in to the limelight. Having established their roots as bedroom producers in the heart of South London a number of years ago, their music has since taken over all corners of the globe, seeing them relocate on numerous occasions to nurture their craft and paying dividends as their productions spiraled in to platinum selling figures and accumulating over three hundred million Youtube views. 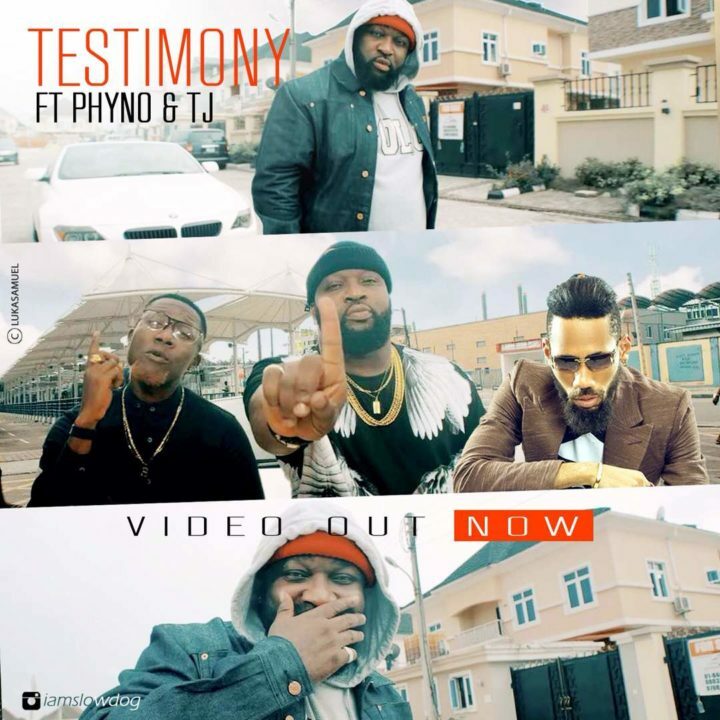 Their experimental taste and genre-bending style lay at the core of their music where they cleverly entwine an array of genres such as Afrobeats, Dancehall and R&B. 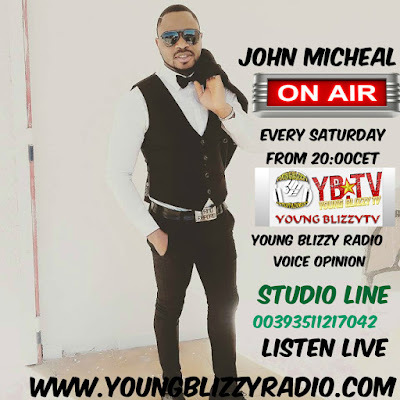 Citing the blend as ‘the future of music’, their ear and appreciation of the genres are evident in their output and the quality of artists that they work closely with. With the current musical climate that we are in “its amazing to see how African music is widely spreading into mainstream audiences. 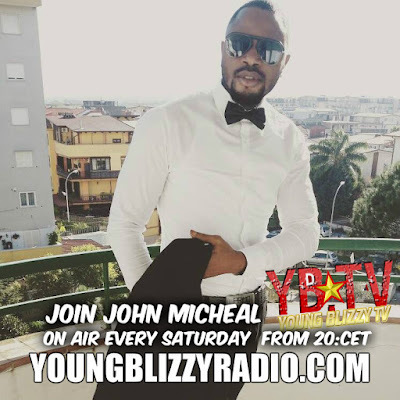 For us it’s an exciting time to be making music, to be part of history in the making within the African diaspora.” says Da Beatfreakz. Premiered by BBC 1Xtra’s DJ Target, the record is dubbed as “the new wave” by the producers themselves; ‘Quavo’ a reference to Migo’s is a true depiction of how widely Hip-Hop culture is personified by one movement. 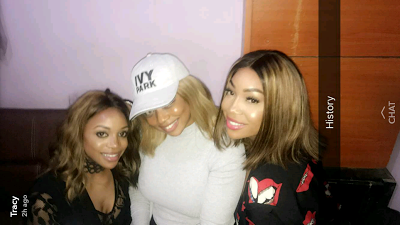 LIB reported on Wednesday that hair entrepreneurs Kika and Chioma Good hair were picked up by the Police following a complaint filed by another hair entrepreneur, Tracy Nwapa, after she was assaulted by the two friends at Sip Night club on July 2nd. The three big girls who had been feuding for weeks over a weave named 'SoKhloe', had a public fight at Sip club where their wigs were pulled, dresses torn and breasts exposed. Well, they have now settled their disagreement after Tracy and Chioma's parents intervened at the Police station. They confirmed this by also sharing photos of themselves together via their respective Snapchat handles. 'Why would Rob disrespect Chyna like that. She trusted him with those pics and he has the nerve to leak them for the whole world to see. No one deserves to be disrespected like Chyna was. That's just lame'. 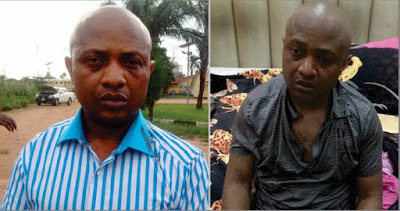 A policewoman has been accused of helping suspected kidnapper Chukwudumeje George Onwuamadike (aka Evans the kidnapper) escape justice in 2006. The woman identified as Tina was until her arrest, a Chief Superintendent of Police (CSP). 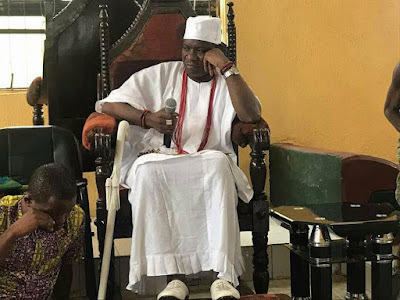 She was unveiled by a Special Investigation Panel (SIP) put together by Inspector General of Police (IGP) Ibrahim Idris to probe Evans’ 2006 arrest, transfer from Lagos State to Imo State and eventual release. After the Evans was arrested last month, a senior police officer told reporters that his team had apprehended Evans in 2006 after a bank robbery. 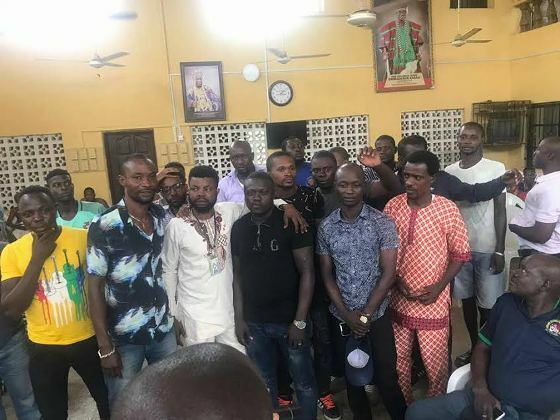 The officer claimed that Evans and his gang members had a gun duel at the National Theatre in Surulere, Lagos Mainland after a disagreement in sharing their loot. 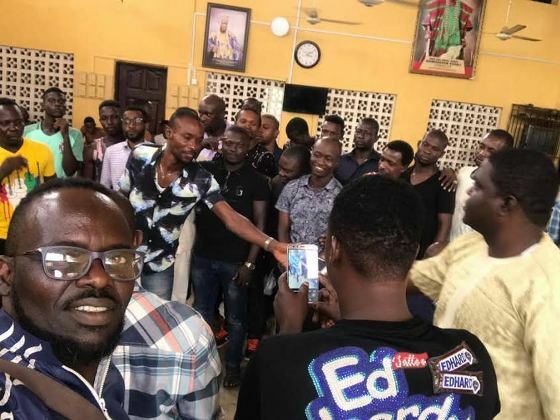 According to the officer, Tina, who was a Superintendent of Police (SP) at that time, mounted pressure on them to release Evans and two of his members who had been arrested at that time, but they refused to grant her request,. So she went through Imo State Command, where a signal was sent for the transfer of the suspects. After this was revealed and thoroughly investigated, Tina was arrested. 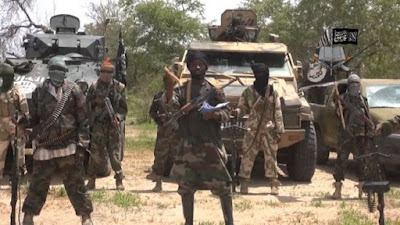 Nigeria has been ranked as the 5th most dangerous country in the world by The World Economic Forum. In its biennial tourism report with one section focusing on safety and security, WEF ranked 136 countries and Nigeria was the 5th most dangerous based on violence and terroristic attacks by Boko Haram.. They named Finland as the safest country in the world while Colombia was listed as the most dangerous. See the top 10 most dangerous countries in the world below. 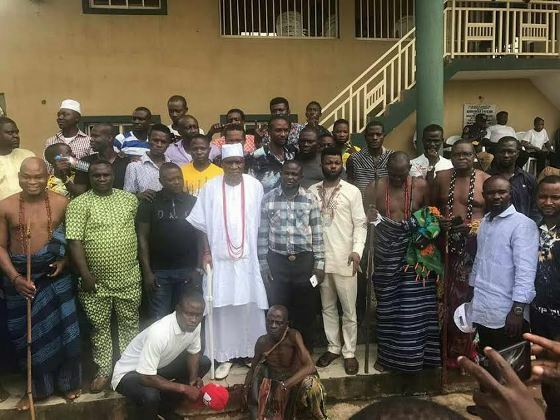 Members of Bucccaneers, Aiye and Eiye confraternities on Wednesday gathered for a peace meeting with Oba Abdulsemiu Orimadegun Kasali at Iledi Osugbo shrine and Adeboruwa Palace in Igbogbo/Bayeku Local Council Development Area, Ikorodu, Lagos. 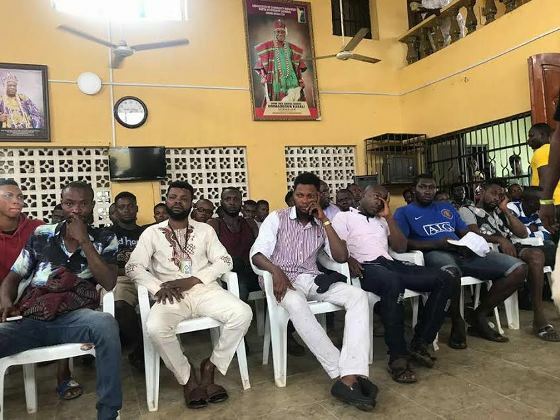 The gathering which was the phase two of the peace meeting between the confraternities was aimed at the renunciation of cult membership in Ikorodu. Last month, they also held a meeting where they all agreed to end violent attacks and promote peace in Ikorodu.